who doesn`t like coloring outside the lines? Found on Spadina & Queen Street west. En route to to see a friend, I noticed this fabulous stencil on Spadina, just up from Queen Street. 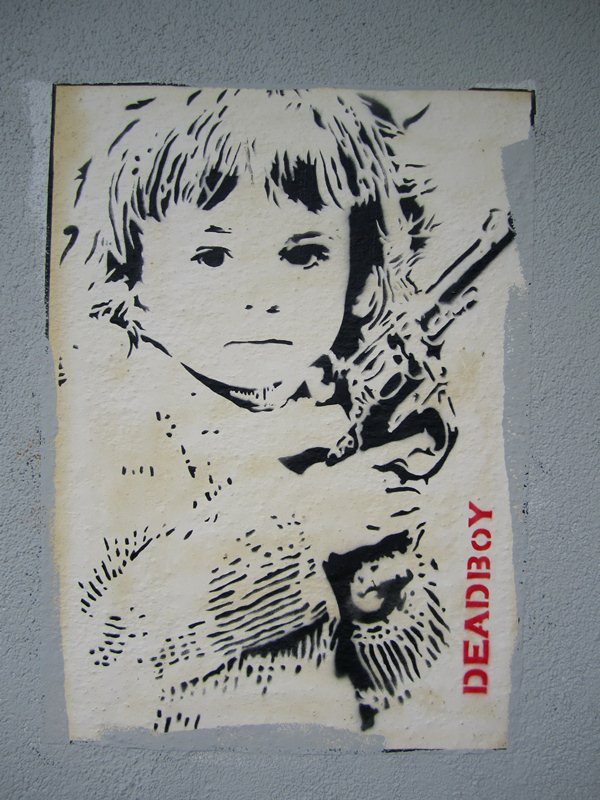 I did a bit of research, discovered he, Deadboy, is a Toronto based street artist. I gotta say, I enjoyed this one. I am sure there are a ton of things we could talk about in terms of what this says. At the moment, I am just about appreciating the skills in creating.